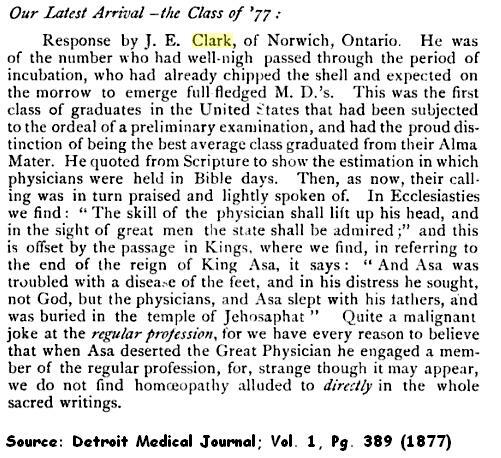 Dr. John Edward Clark, my Grandma Jayne's maternal Grandfather, was the focus of my first genealogical report (a 5th grade book report) and still to this day one of my favorite ancestors to research. He had an outstanding medical career in Detroit that spanned 58 years. 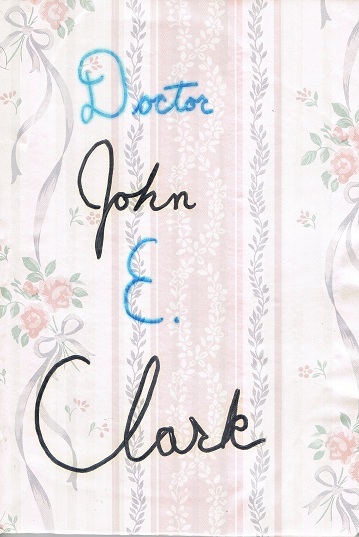 John was born to Frederick John & Ellen (Petley) Clark on January 13, 1850 in Worlington, Suffolk, England. He was baptized February 10, 1850 in the Terrington St. Clement Church. 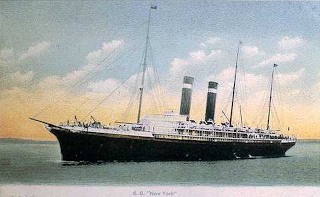 The Clark family (Frederick, Ellen, John, Mary, Robert, & Ellen) immigrated to Toronto, Ontario, Canada on the SS City of New York in August 1856 and settled in Norwich, Ontario before May 1857. At the age of 15, John joined the Canadian Rebellion and received the Queen’s Medal for Veterans of Fenian Raids in 1866 for active service. Shortly after serving, he continued his education in New York before enrolling at Victoria College in Toronto, Canada. 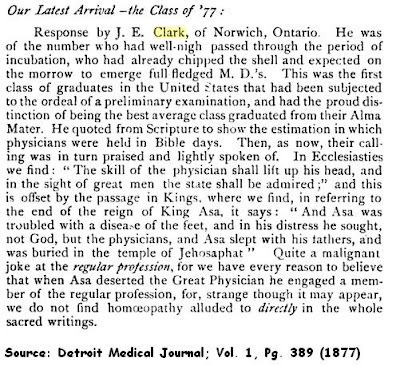 After successfully completing the preliminary examination in 1874, John left Ontario for Ann Arbor, Michigan to study medicine at the University of Michigan. 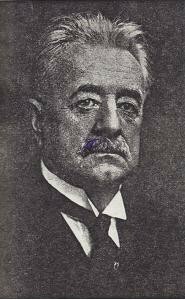 In July 1877, John graduated as president of his class and started his medical practice in Detroit, Michigan. Welcome to Geneabloggers. I finished school in Accounting, but genealogy has always been my avocation. I can't get away from it. Yikes. Good luck with your blog. I look forward to following it. I know from experience, you never know what you will find. I found "An Early Christmas Gift" and wrote about it in my blog. I can't stop blogging about it. Maybe that is better than can't stop talking about it.